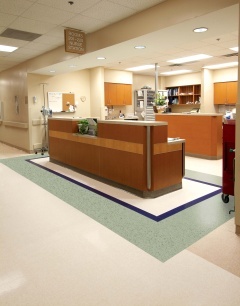 We install all types of commercial flooring, including heat-welded sheet vinyl, vinyl tile, ceramic, marble, direct glue carpet, double stick padding, and rubber flooring. Our customers include businesses, churches, schools, hospitals, recreational facilities, industral buildings, hotels, apartments, and more. We understand business, and how important it is to leave a great first impression. We work with commercial clients to ensure their property is properly floored with high quality and high performance flooring. 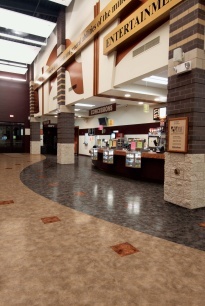 Our flooring experts can help you select from many options that meet your business's needs. 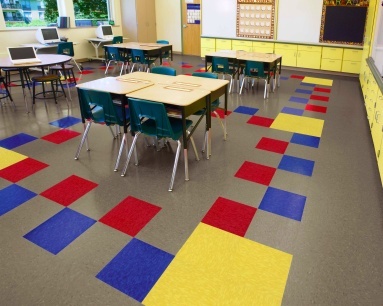 Whether you looking for a top-grade quality flooring that can withstand heavy foot traffic for your business, church or hospital or a special type of flooring fit for your school or recreational facility, we've got materials to get the job done. We have assisted clients with a wide variety of types and sizes of flooring, from large warehouse projects to multi-level living areas like hotels, apartment complexes, and more. Our large selection of materials to complete your commercial business project includes materials such as heat-welded sheet vinyl, vinyl tile, ceramic, marble, direct glue carpet, double stick padding, and rubber flooring. Whether you are ready to make a buying decision, or want to explore your options, we have experts that will help determine the best material for your space. Our installation team surveys your space to determine proper seam placement, and yardage necessary, making sure that you pay only for what you need. It is this commitment to service that we are proud to offer to the Mid-South region. To learn more about our commercial services or to discuss any questions you may have, contact Hunter Kiser, Sales Manager, by phone at 901.759.9317 or by fax at 901.753.4422.